Walter Barkey, M.D. was born and raised in the Flint area. He received his Bachelor of Arts degree from the University of Michigan (With High Distinction) where he was Phi Beta Kappa his junior year. He attended medical school at The University of Michigan where he was a member of the honorary fraternity Alpha Omega Alpha. He did a one-year flexible internship at St. Joseph Mercy Hospital in Ann Arbor, MI. He did his dermatology residency at the University of North Carolina in Chapel Hill where he was chief resident his final year. He became Board Certified in Dermatology in 1983. He moved back to the Flint area in 1983 practicing in Flint Township for 25 years before moving to his current location on West Hill Road in 2008. Dr. Barkey has regularly made the “Best Doctors” list since it was started by the Detroit Free Press in 1999. For over 17 years he regularly taught residents from St. Joseph Mercy Hospital, McLaren Regional Medical Center, and Flint Osteopathic Hospital. He is a clinical assistant professor at MSU College of Human Medicine. He regularly teaches medical students from MSU and PA students from a variety of schools both in state and out of state. He is a member of The Michigan Dermatological Society and has served on the Ethics Committee for over 20 years. He was chairman of Skin Cancer Detection Day in Flint for over 15 years. He has served on the Admissions Committee for the University of Michigan Medical School. Dr. Barkey is passionate about patient education. He has personally written over 250 detailed handouts for his patients and made dozens of educational DVDs. He is committed to providing his patients with up to date, thorough, and compassionate care. Dr. Barkey has been a volunteer at Whaley Children’s Center, a residential treatment center for abused children, for over 7 years and has been on their Board of Directors for over 5 years. He is the head of the Mentor Program at WCC for 6 years. 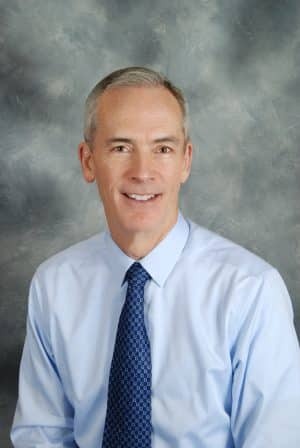 In 2016 as a volunteer Dr. Barkey helped lead the Flint Water / Rash Investigation in conjunction with state and federal investigators and for his work he received several awards including a Presidential Citation from the American Academy of Dermatology.